Exporter & Supplier of Chute Block Switches. Our product range also comprises of Proximity Switches, Safety Switches and Trip Indicator. Protocontrol offers chute Bock Switch for sensing jamming and clogging of chute . Used for material like coal, cement, iron ore, food grains, and lime stone.¿¿The selection depends on the application and material to be sensed. Protocontrol offers complete techno commercial help in selecting most appropriate model to suits the application. RF admittance type is recommended when material to be sensed is sticky and is having special characteristics. When level is to be sensed by non contact way and the span is higher, ultrasonic level sensor is used. 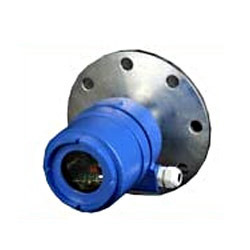 Radar type is used when the environment and applications are too much demanding. Looking for Chute Block Switches ?